I’ve always thought cornerback as one of the hardest positions to rank for fantasy football. What goes into an interception or a pass defended: good coverage and ball skills, being in the right place at the right time, receivers not capable of getting separation, bad quarterback play, quarterback hurries, etc.. It’s not an exact science, players grading anywhere from “poor” to “elite” will take up the top twenty corner positions in your fantasy football league’s scoring. One of my IDP leagues decided to breakup it’s three defensive back positions into two safeties and one cornerback this year. I compared the top corners across three of my leagues and no list was the same. Only eight players made the top twenty in all three leagues and only fifteen made it in two. Scoring is almost never the same from custom league to custom league. So, to get a good general list that might be relevant to different scoring systems, I considered a wide range of scoring categories including return yardage in addition to the staples of tackles, interceptions and passes defended. The result is good mix of players including two teammates, two brothers, three guys who will be in their thirties, four players who will be on new teams and a rookie. 20) Jalen Mills, Philadelphia Eagles – the most improved member of the Eagles secondary. Outshined Ronald Darby on fantasy teams, but will he continue to shine with Sidney Jones on the field this season. All three of these backs are capable of finishing in the top twenty, but I think Mills will continue to improve and is the safest pick on the Eagles. 19) Marcus Peters – Los Angeles Rams – Peters finished first among cornerbacks in most leagues his rookie season, but with the reputation gained he’s had less opportunities to make plays as Quarterbacks throw less in his direction. Now, making up half of the new Rams’ tandem with Aqib Talib, Peters finds himself with a very capable running mate on the other side, so once again should have more opportunities and possibly make his way up this list. 18) Darqueze Dennard – Cincinnati Bengals – Dennard should take over for Dre Kirkpatrick as the starter this season. In 2017, he earned more playing time and the results were a top twenty finish among fantasy corners in most formats. Additional playing time can only help! 17) Trumaine Johnson – New York Jets – Johnson has appeared among the top twenty corners for several years now while playing with the Rams. This year he should do the same, but now wearing a Jets uniform. The only concern would be the safeties he will be competing against to make plays, but this defense will be on the field enough for all three to be relevant to IDP teams. 16) Kareem Jackson – Houston Texans – Jackson is undergoing a position change to safety which will help the Texans mitigate the likely loss of Andre Hal while he battles Hodgkin lymphoma. If he keeps his cornerback designation he could be a steal for your fantasy team. 15) Kendall Fuller – Kansas City Chiefs – the Chiefs thought enough of Kendall Fuller’s ability at corner they traded Marcus Peters to the Rams this offseason. That along with his part-time performance with Washington last season has me thinking he will make his first appearance among the top twenty corners this season. 14) Denzel Ward – Cleveland Browns – the only rookie to make the list was also the first corner selected in the NFL draft. He will be an immediate starter in the Browns’ secondary that is suddenly looking strong. If not for Ward, teammate Travis Carrie would have made the list. 13) Jourdan Lewis – Dallas Cowboys – Lewis is one of the many defensive back picks from Dallas’ 2017 NFL Draft. He played well over the latter half of his rookie season, but the reason he cracked my top 20 is he is also expected to return kicks for the Dallas special teams. 12) Mike Hilton – Pittsburgh Steelers – Hilton is one of the top slot corners in the league. He was good in coverage and great against the run. 2017 was his breakout season and he should be a player on the rise. 11) Jalen Ramsey – Jacksonville Jaguars – Ramsey is currently the top corner in the league. If not for his teammate, A. J. Bouye, also being one of the top corners, few quarterbacks would be throwing his way. Ramsey is a safe bet to finish somewhere in the top twenty in fantasy leagues. I am putting him in the middle but he could easily finish higher or lower. 10) Desmond King – Los Angeles Chargers – King can play safety or corner, but mostly covered the slot for the Chargers in 2017, his rookie season. Even with little playing time over the first month of the season, he finished high on the points lists for corners in fantasy football. The added bonus for King is he has return duties on kick offs. 9) Robert Alford – Atlanta Falcons – Alford has consistently finished among the top-20 corners over the last several years. Atlanta did draft Isaiah Oliver, considered to be one of the top five corners entering the NFL, but the Falcons are likely to bring Oliver along slowly, possibly using him to cover the slot. 8) A. J. Bouye – Jacksonville Jaguars – Bouye paid immediate dividends for the Jaguars number one defense after coming over from the Texans, forming the top cornerback tandem in the league. He will continue to be a thorn in the side of opposing offenses this upcoming season. 7) James Bradberry – Carolina Panthers – Bradberry is now the lead corner after the Panthers moved on from Daryl Worley. 2017 was a breakout season for Bradberry and now entering his third season he should continue to excel. 6) Jason McCourty – New England Patriots – McCourty has been a top fantasy corner as a member of the Browns for awhile and nothing should change this outcome now that he is a member of the Patriots. He is likely to be on the field less, but Patriots corners have a history of doing well in fantasy scoring and McCourty’s skills against the pass and run make him a likely pick to continue this tradition. 5) Marshon Lattimore – New Orleans Saints – Lattimore was everything the Saints expected when they made him their first pick in the 2017 NFL Draft. He helped a defense that had been terrible turn things around and gain some respect around the league and in fantasy football. I know I added the Saints Defense as a waiver move early in the 2017 season whereas they were an afterthought in prior seasons. Lattimore provides great playmaking ability in addition to great coverage skills and is a safe bet to maintain a spot among the top twenty fantasy corners for years to come. 4) Adoree’ Jackson – Tennessee Titans – another second year corner high on my list is Jackson. Jackson didn’t play nearly as well as Lattimore by NFL standards, but he did improve as the season went on. The biggest bonus for Jackson is return yardage as Jackson is one of the better returners in the league. 3) Darius Slay – Detroit Lions – Slay has long been considered an elite corner playing for a bad defense. The Lions are getting better and as more impact players take the field with him the more opportunities Slay has to shine. This upcoming season should be more of the same for Darius Slay. 2) Tre’Davious White – Buffalo Bills – White is the third second-year player to make my top five fantasy corners. In 2017, he finished near the top of corner scoring in every scoring system. Because of a mediocre Bills offense White is on the field more than Lattimore and Jackson and this should continue in the upcoming season. 1) Kyle Fuller – Chicago Bears – Fuller, finally healthy had a fine rebound season in 2017. On average, he was the top corner in fantasy football across the scoring systems I am aware of. A big part of this was the horrid Bears offense in 2017 and their inability to move the ball through the air. This season the Bears should be much improved on offense, but they still have a second-year quarterback and have a new offense to learn with the new coaching staff, so there will be growing pains. Fuller should remain a top fantasy corner for at least another season. There are many corners in the league who have the ability to take a spot on my list. A few are Byron Jones, Vontae Davis, Gareon Conley and Travis Carrie. Green Bay drafted two early corners, Jaire Alexander and Josh Jackson, and either could make the list. Another rookie to watch is Minnesota’s Mike Hughes, an early round pick. As always be mindful of end of pre-season depth charts and keep track of NFL stats to find those possible breakout performers from the waiver wire. Check back next week as I break down the top twenty safeties and good luck this fantasy season. Major League Fantasy Baseball Radio Show: Join host Cole Freel and Kyle Amore live on Sunday July 1st, 2018 from 8-9:30pm EST for episode #127 of Major League Fantasy Baseball Radio. We are a live broadcast that will take callers at 323-870-4395. Press 1 to speak with the host. We will discuss the latest information in the world of fantasy baseball. Our guest this week is John Gozzi. John is a baseball writer and football writer for majorleaguefantasysports.com. 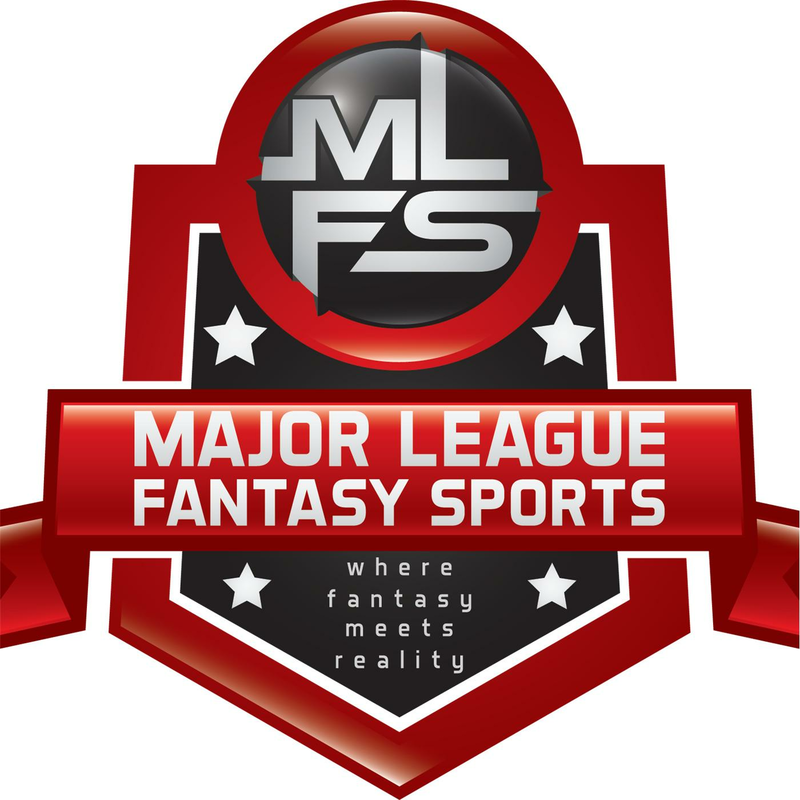 Major League Fantasy Football Radio Show: Join host Corey D Roberts, and Kyle Amore live June 21st, 2018 from 8-9:30pm EST for episode #83 of Major League Fantasy Football Radio. Call in number is 323-870-4395 press 1 to speak with the host. We will hit free agents, rookies, and fantasy football as a whole for each team for 2018. This week we will discuss everything AFC North! Kyle is a writer with majorleaguefantasysports.com going on his 5 th year. He focuses primarily on baseball, but is a fantasy football fan and analyst as well. I grew up a Dallas Cowboy's fan in Washington Redskins' country, but I currently reside in Florida. I have played fantasy sports since 1999, but have narrowed it down to football only over the last few years. I have a beautiful daughter that keeps me busy and feeling young, and in my free time I write for Major League Fantasy Sports, play golf and spend time on outdoor activities.